Everyone loves camping in the woods. For five friends, it's the perfect way to send off one of their own. Amongst the partying and debauchery comes something much more sick and depraved. Everyone love camping in the woods. It's usually a calm, relaxing getaway. For five friends, it's the perfect way to send off one of their own. Amongst the partying and debauchery comes something much more sick and depraved. The five friends find themselves hunted by unknown killers. 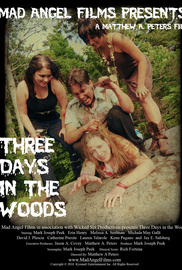 With the woods working against them, will they fall one by one or will they survive the next Three Days in the Woods? Mad Angel Films and Wicked Six Productions show you a glimpse of the evil that lie within the innocuous. 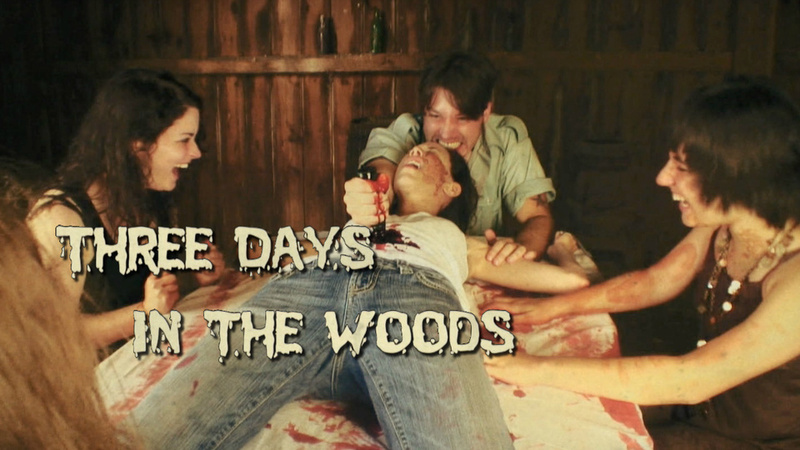 Directed by Matthew A. Peters and written by Mark Joseph Peek, Three Days in the Woods will shock and disgust you.